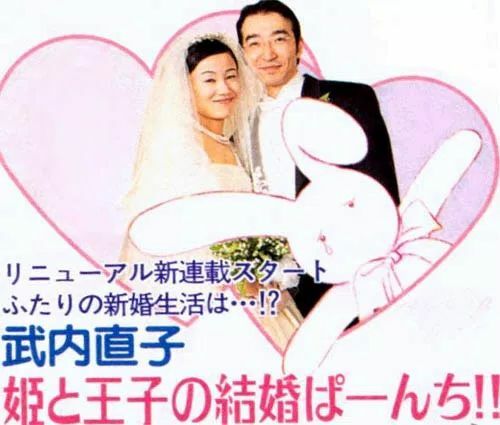 Why Did Naoko Takeuchi Nearly Call Off Her Own Wedding? Naoko Takeuchi is something of an interesting character, even by Japanese manga artist standards. As you follow her career, she seems to waffle between two extremes — sometimes she’s intensely private, and other times she’ll write about deeply personal stories and publish them in comics with massive, nationwide circulation. And for that, I’m immensely thankful. How often do we have a chance to get such a close look “behind the curtain,” so to speak, of our favorite creators? Today, I’d like to take a closer look at Ms. Takeuchi’s relationship with the equally-famous manga artist Yoshihiro Togashi. Or, more accurately, how she very nearly called the marriage off. It’s a pretty epic tale, as told by our favorite eccentric artist herself, so you might wanna stick around! What Struggles Did Naoko Takeuchi Face in Becoming a Mother? While I typically like to keep this blog focused on matters either directly in the world of Sailor Moon or relating to things that happened back in the era, I think when we’re talking about the creative genius behind our favorite sailor-suited soldiers (of love and justice!! ), I think we can allow a little wiggle room. Though today’s topic doesn’t tie in directly into Sailor Moon or any of the characters that inhabit her carefully crafted universe, Ms. Takeuchi is a fascinating woman in her own right and definitely merits discussion. So let’s take a look at how her family came to be! A word of caution: This article discusses the loss of a child, which is a topic that I know hits home for unfortunately far too many people. Please feel free to skip this article if the topic matter is something you’re uncomfortable with. Why Does ChibiUsa Have Pink Hair?